I bill myself as a Word Nerd, but truth be told, I’m also a Branding Geek. This is an internal shot of the forces in my brain deciding which of them gets to aggressively take over my mouth and domineer a conversation out of nowhere. 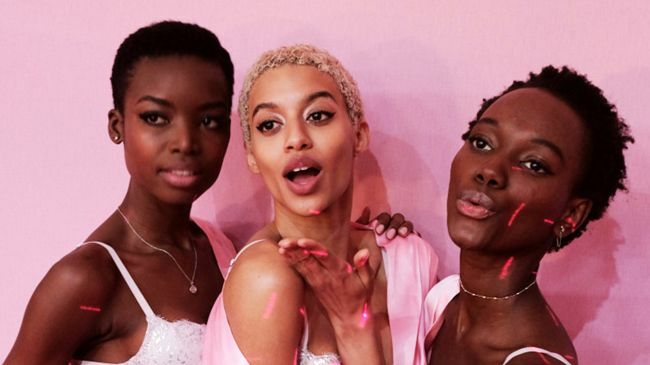 Today the Geek wins out, and I’m going to pull up a chair with y’all about the Victoria’s Secret hair crisis that landed the brand a mild-to-moderate dragging in early June. We all know curly hair, and to a larger extent curly hair on black women specifically, whether all-natural, in a protective style, or even straightened isn’t treated with the amount of dignity and care it needs to be in the fashion industry. Or should that be ‘to a lesser extent’ due to lack of representation, even of typically Type 1 haired minorities...you know what, that’s another article. Regardless, the bottom line is that some-crazy-how, a multi-million dollar brand owned by a publicly traded company can’t afford stylists that know what they’re working with when it comes to even straightened black hair, and the looks...suffer. Terribly. Just looking at that had me calling on my ancestors for guidance and healing. Naturally, the knee-jerk defense comment squad was out in force. “It looks cute”, (it doesn’t), “Maybe she ASKED for it to be that way”, (she most certainly DID NOT), “Why do women have to be 100% polished ALL THE TIME?”, (she...she is literally a Victoria’s Secret MODEL in the process of being photographed for the biggest name in ready-to-wear lingerie since the Wonderbra, hush please). And more naturally, I wasn’t having it. Ultimately the biggest issue with the “hairstyle” that I have is this: even if the industry doesn’t embrace naturally curly and/or afro-textured hair at large, regardless of its protected or straightened state, the money and positive attention has been REPEATEDLY shown to be there. 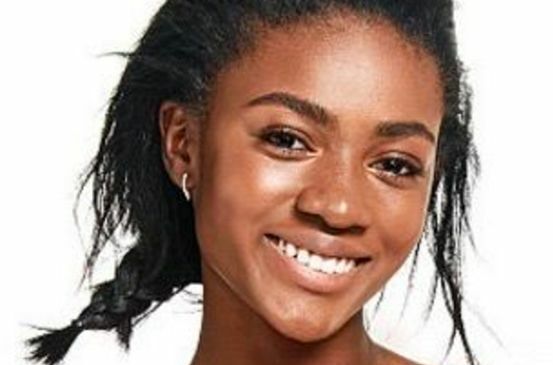 I’d like to bring our attention back to 2016 when VS made great headlines for having a few curlies of color walk their runway without straightening or extending their hair. I don’t know about y’all, but I was fit to explode as though I myself were about to become one of their Angels the very next week. It’s not happening—I have more of a ‘Be not afraid’ ancient Judaic texts type of angel figure, to be fair. But it was still incredible news! If their goal with the pigtails was ‘Okay, we want it messy, just got out of bed approachable/attainable look’, there was a way to do that. If their goal with the high tail was ‘Keeping it cute, even on a 5K, also this is how I put my hair back to steal your man’ there was a way to do THAT. But surprisingly, even in an industry known for finding women whose looks conform to a very rigorous standard, only to airbrush, light, and photoshop their perceived flaws away from the second they step on set to the moment the ad or listing is formatted, these sea urchin meets dog-chewed pompom looks were considered acceptable. Zuri Tibby is a lovely woman. But she's a model, not a soldier, or boxer. She’s not Gabby Douglas. She’s not ACTUALLY using the Pink fitness gear on set to exercise. And this definitely wasn’t a haute couture spread where everything is MEANT to look avant garde (ie expensive and weird). 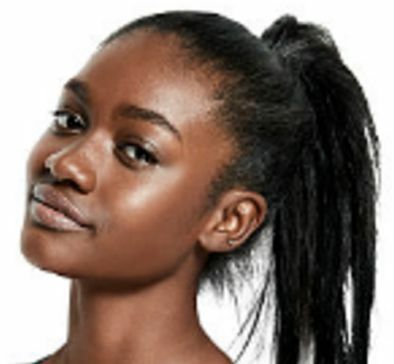 It was one listing among many where Zuri's fellow models, and even Zuri herself are styled in great relaxed wispy 'dos. Figuratively and literally relaxed. But essentially what happened here was that the stylists were going for a wisp heavy look, could absolutely NOT make it look good with her hair in many of the final shots, yet they with it anyway. Why is it that her PROFESSIONALLY STYLED hair is expected to get a pass considering how precisely curated everything else in her professional sphere has to be? These photos are the culmination of hours and hours of work. Rows and rows of people said ‘yes’ to everything that happened here right up until the end. But it’s a no from me. And it needs to be a no from the industry.